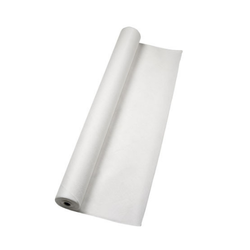 Pioneers in the industry, we offer ocean geotextile non woven, ocean woven geotextile, rock fall protection geotextile, ground reinforcement geotextile, retaining walls geotextile and ocean plastic cell filled concrete from India. We are offering Ocean Non Woven Geotextile to our clients. We are offering Ocean Woven Geotextile to our cleints. 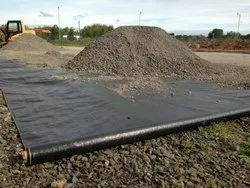 A geotextile is typically defined as any permeable textile material used to increase soil stability, provide erosion control or aid in drainage. More simply put, if it is made of fabric and buried in the ground it is probably a geotextile These early geotextile applications were basically natural fiber or vegetation mixed directly with soil. Modern geotextiles are usually made from a synthetic polymer such as polypropylene, polyester, polyethylene and polyamides. Geotextiles can be woven, knitted or non-woven. Varying polymers and manufacturing processes result in an array of geotextiles suitable for a variety of civil construction applications. Geotextiles are used in the civil construction, especially in roads and fills to improve soil characteristics. The recent popularity of Geotextiles makes a poor soil more manageable and making possible to build in places where otherwise would be impossible. 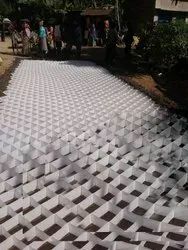 Geotextiles are ideal materials for infrastructure works such as roads, harbors, and many others.Geotextiles are highly advantageous for various different projects. 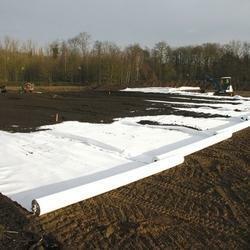 It is important that you use them whenever you need to tackle complex situations in which you have to set up some sort of moisture barrier, you need drainage or two soils have to be separated. Just make sure that you know everything about proper installation. In so many situations we see people that simply try such a project alone, without professional supervision. 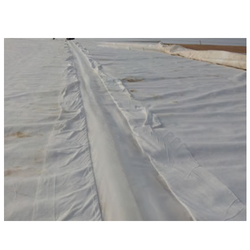 Improper geotextile installation basically removes all the advantages we highlighted above. We are offering Ocean Plastic Cell Filled Concrete.